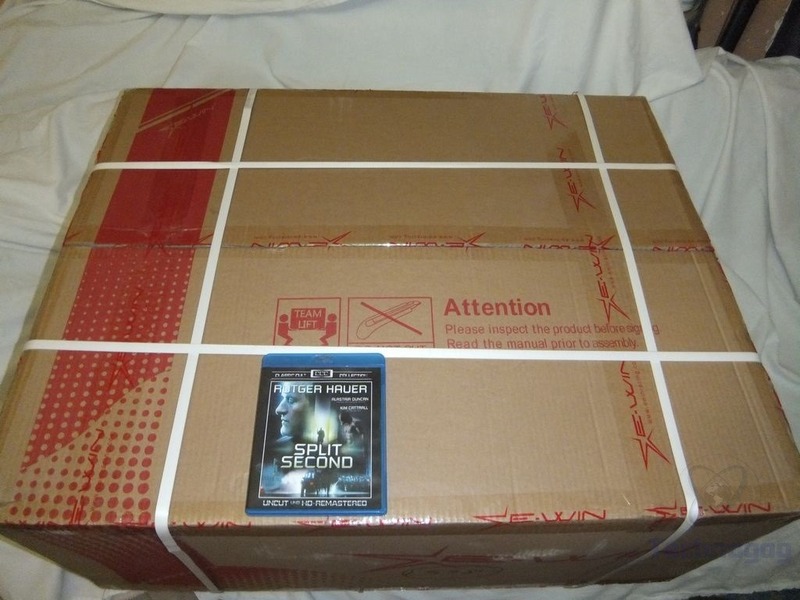 So the E-Win Hero Series gaming chair comes in a very large box, I’ve included a blu-ray movie for scale to show you just how large it is. 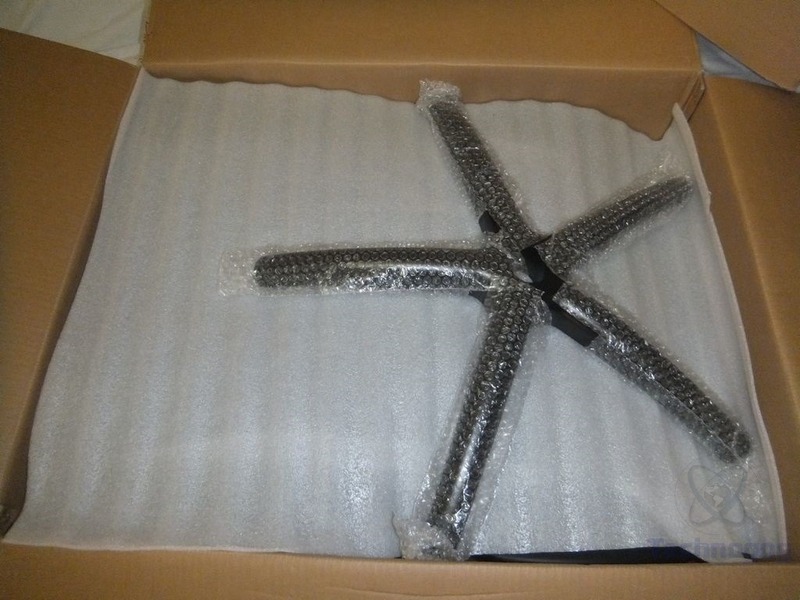 The assorted parts are very well packaged in the box with foam, bubble wrap and plastic for protection. 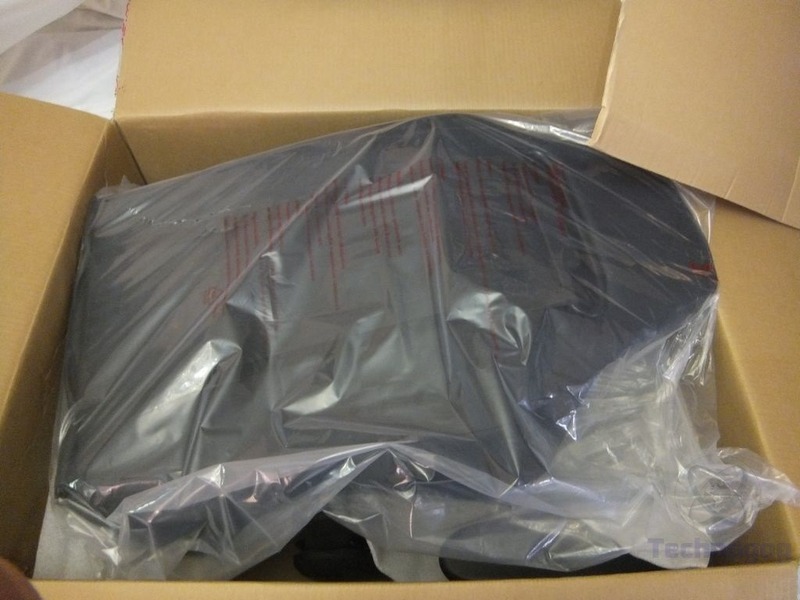 There’s a smaller box in the bottom of the box with accessories and parts inside. 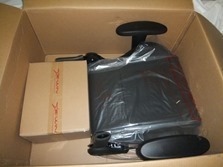 In the smaller box you’ll find an assortment of parts to put the chair together including the user manual of course. One of the interesting things included in the box is a pair of white gloves to assemble the chair and keep it looking nice and new and clean while you’re doing it. When I was going through the box of parts I noticed a lack of screws, yes no screws were included to assemble the chair and I was a bit confused as to what was going on so I opened the user guide and it turns out the screws are already installed in the the chair where they should be. I like the idea of having the screws already installed as you don’t have to hunt for them and it just makes assembly easier I think, take the screws out, attach the parts, put the screws back in. 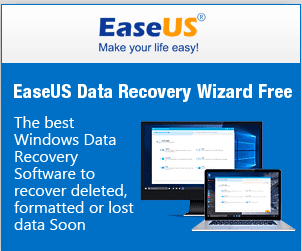 You know exactly what screws go where and it really makes assembly quicker. 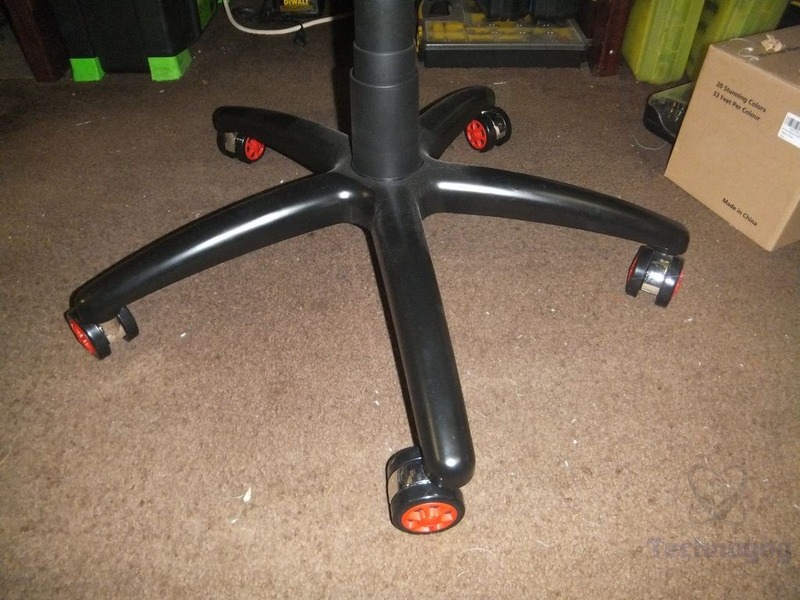 The chair is red and black in color and the color scheme even goes to the wheel or casters. The wheels are black with what look like hubcaps colored in red and they’re chromed in the centers, they look very nice overall and seem sturdy. Once you start unpacking everything you’ll find the back of the chair partially assembled with the pillows already attached for you. 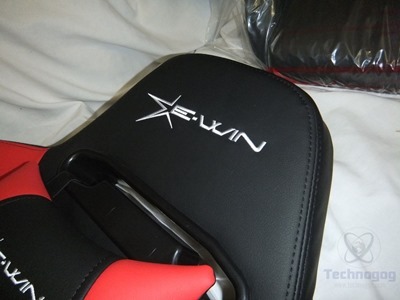 The pillows and the top of the chair have the E-Win logo stitched onto them. The pillows are red and black and then the chair itself is mostly black with red stripes running down along the right and left sides. 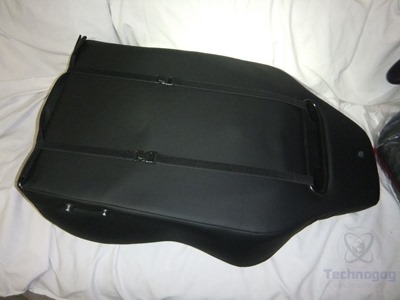 The material of the chair is a PU leather and it’s supposedly very durable and puncture resistant. 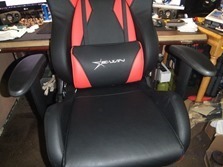 The seat and chair back are filled with a high density memory foam making it comfortable yet supportive. Under the foam is an all metal frame for support and strength. 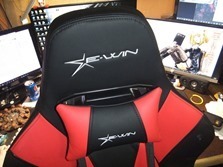 The pillows are held in place with elastic straps that have a clip on each. The straps run through a hole in the top of the chair and then between the seat and back of the chair and around through. 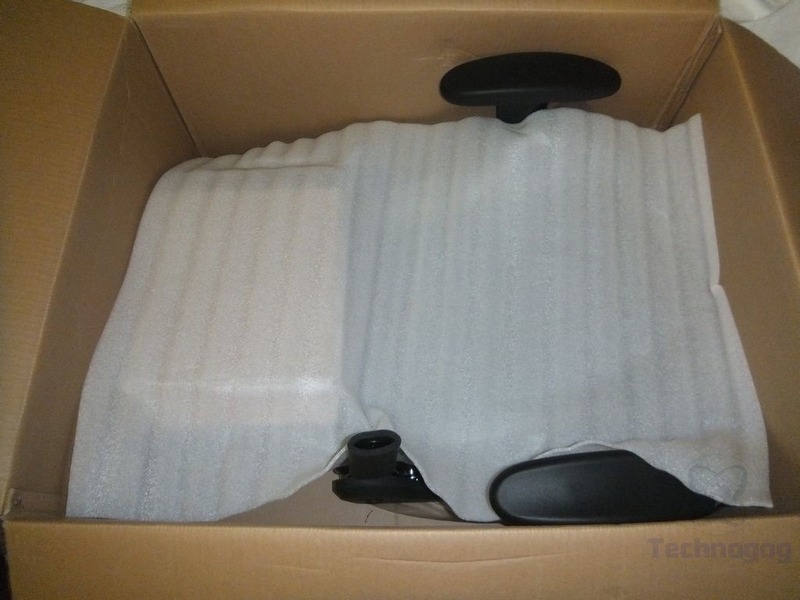 You can easily remove the pillows if you want or they can be slid up and down to position them for comfort. 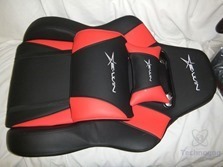 The seat is basically all black with just a little bit of red under the front edge. The arms have large arm rests that can move up and down as you might expect. 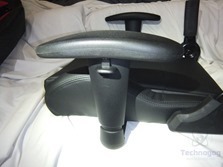 The arm rests are slightly padded, not very soft but not uncomfortable either. 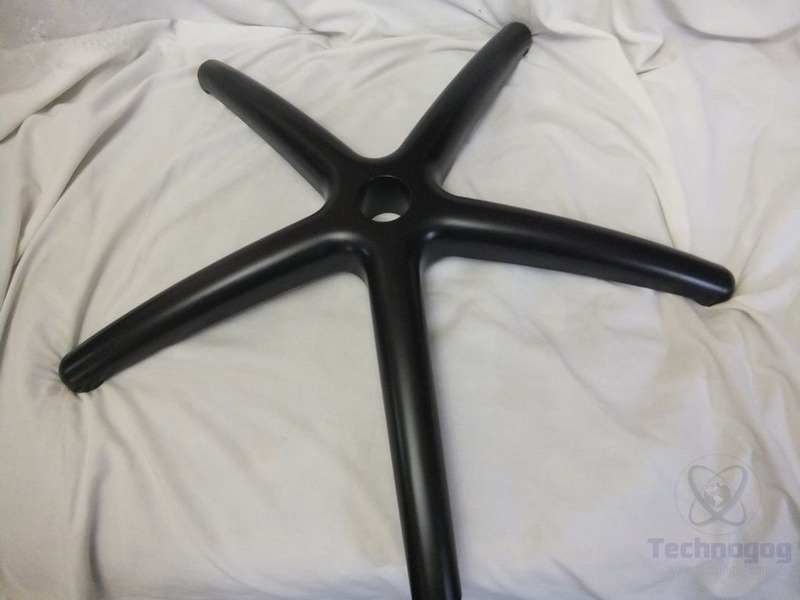 The arms attach to the bottom of the seat and they are held on by four screws each so you can remove the arms if you want to. 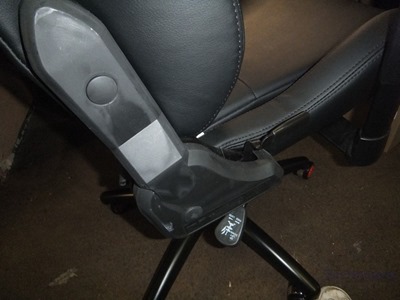 I know some people don’t like arms on their chairs so it’s nice to have the option to remove them. There are four other screws on the bottom to attach the base of the chair to, again the screws are already installed for you which just makes things easier I think. The chair features a wide five star style base that the wheels attach to. 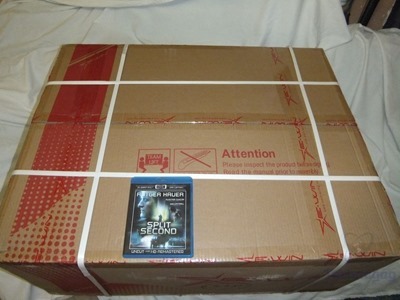 I measured it and it’s about 26 inches from one point to the point across. 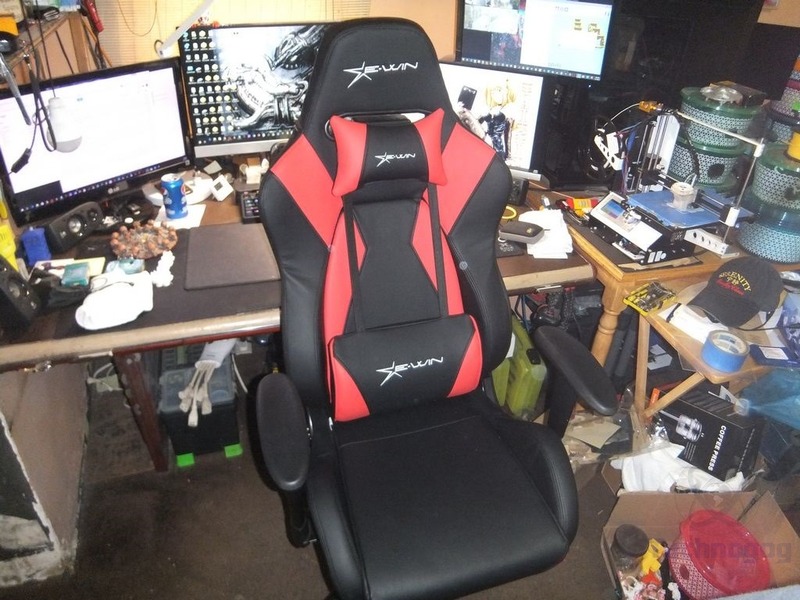 So here’s the chair all assembled at my desk, you’ll have to excuse my work area, my 3d printer is there and just everything else for work etc, so it’s a mess. 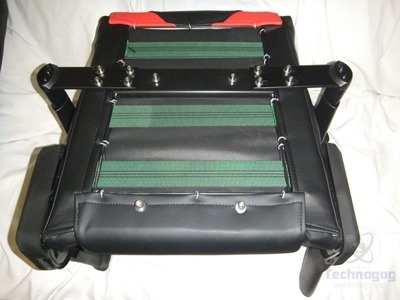 The adjustments for tilt and to raise the chair up and down and to lock the chair from leaning back are on the right lower side. Under the chair, towards the center, is a large knob to adjust the tension when you lean back in the chair to make it easier or harder to lean back, more resistance and less resistance essentially. Overall the chair is very nice and comfortable but I personally don’t like the pillows at all, I just don’t find them comfortable. 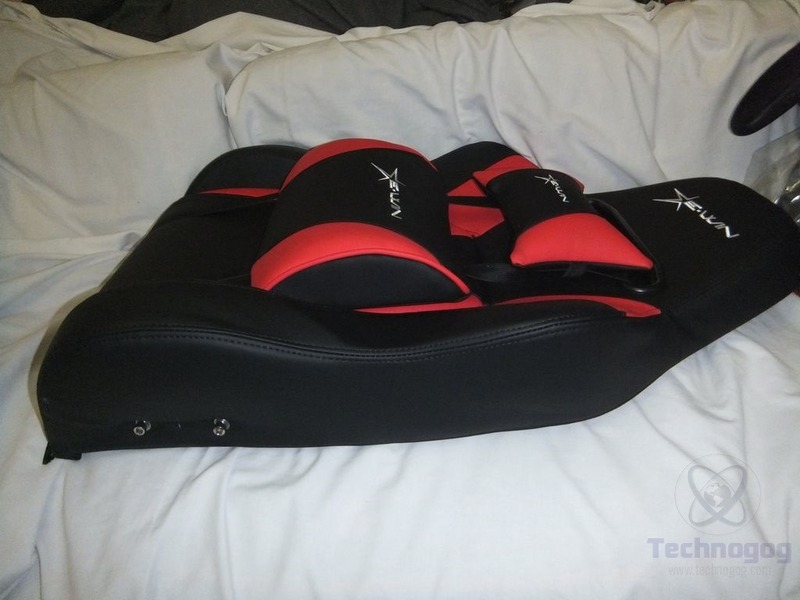 My kids love the chair and I asked them about it, I have three boys who love gaming and two of them like the pillows and one doesn’t, so I’m not alone in my dislike of them. It could be because I’ve never had a chair with these pillows and it might take time for me to get accustomed to it, who knows. Here’s a better look at the hole section at the top of the chair where the pillow straps come through for you. 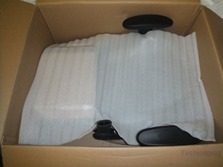 The hole is lined with plastic and has spaces for the straps to keep them in place. 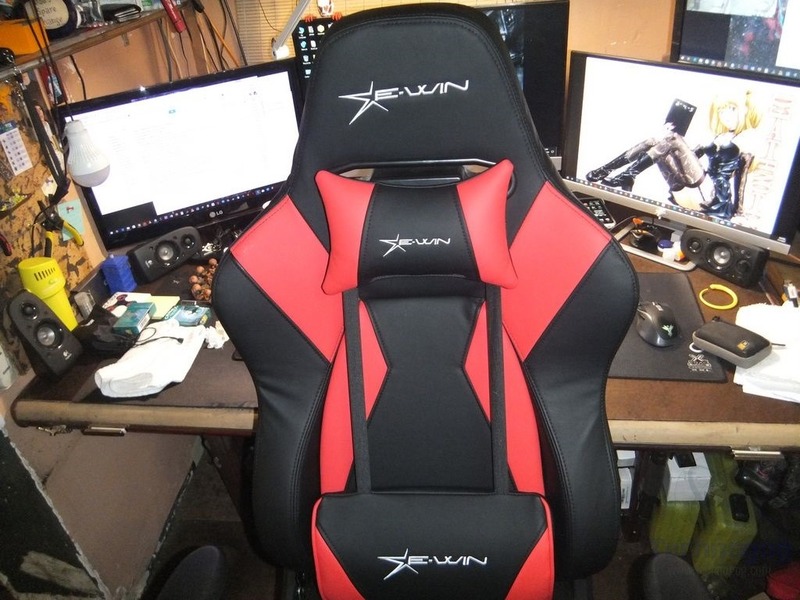 I’ve purchased a lot of chairs over the years but never one specifically for gaming even though I do a lot of gaming and I have to wonder why I never bought one now that I have one?! 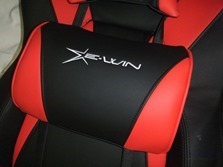 The EwinRacing gaming chair Hero series is excellent really, I could find nothing wrong with it. 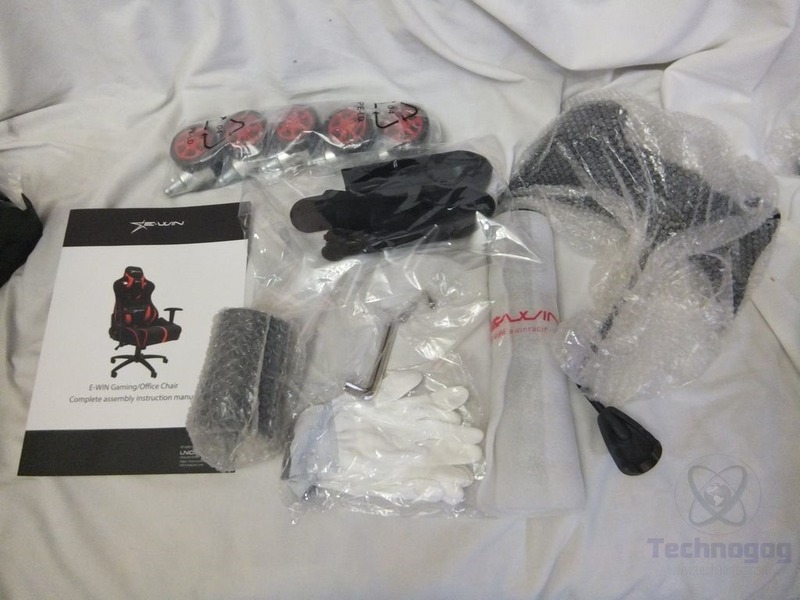 The chair is packaged very well and assembly is just extremely easy thanks to how the instructions are done and the fact that the screws are already in the chair and they even include the tools for you as well. I sit at my desk for many hours at a time, I could be working, I could be doing a project for my 3D printer or I could just be gaming or watching a movie and it’s a very comfortable chair to be sure. 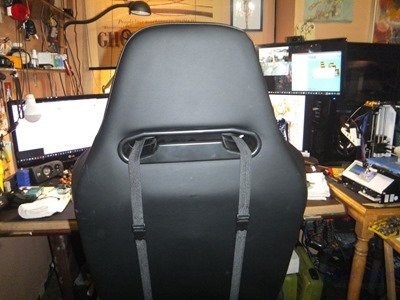 Even after many hours sitting in it I still felt fine and comfortable really, no complaints at all. 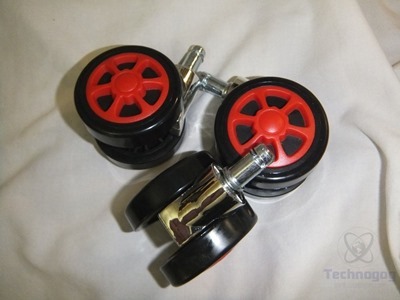 The wheels move easily, I do have carpeting on my floors and they still move just fine. 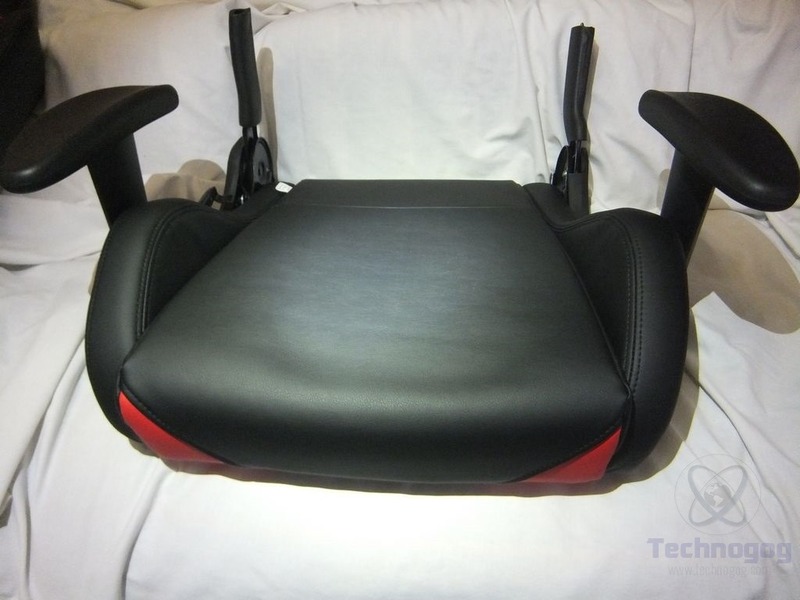 The wide base makes the chair very stable so you can lean back far to relax and maybe just watch a movie. 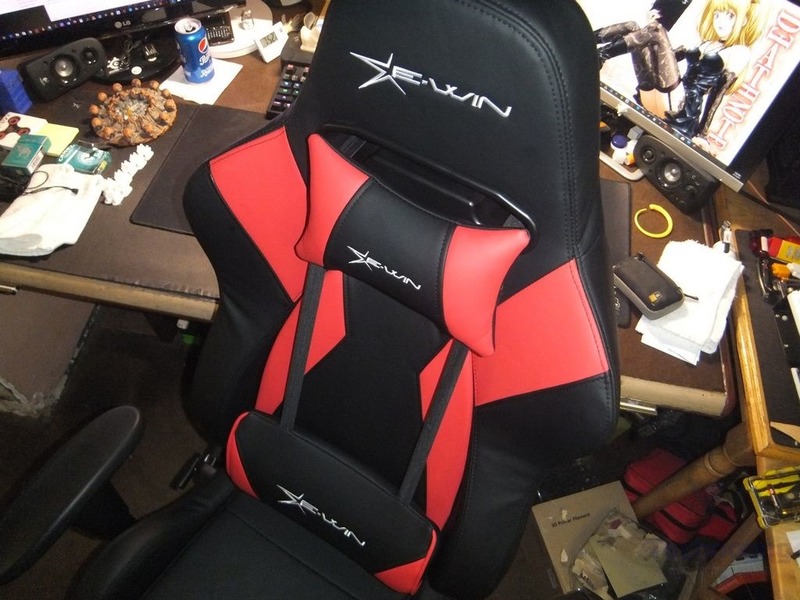 The design of the chair is aesthetically pleasing, it looks nice really, the color scheme looks like racing or gaming and it fits right in as it’s a gaming chair. Ewin does offer other color options you can choose from including colors of the base and wheels. 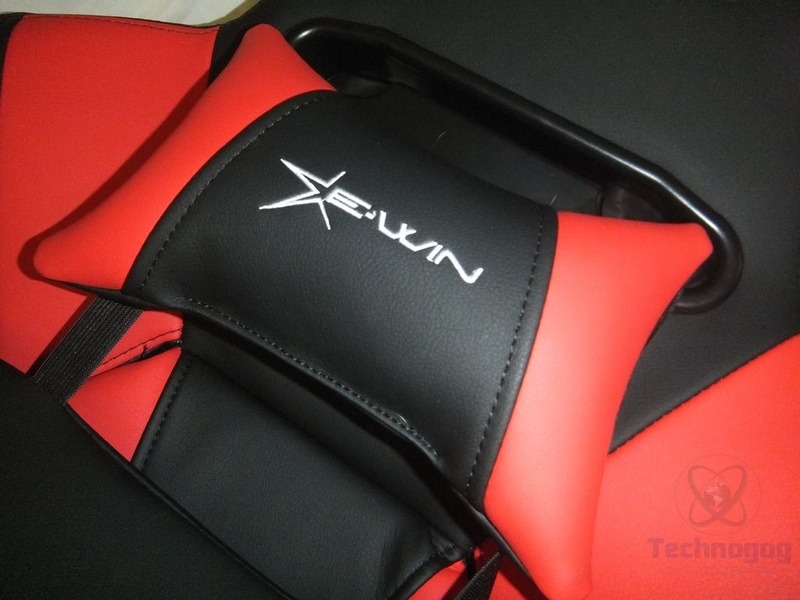 If you’re looking for a decent gaming chair then I can easily recommend the Hero Series from Ewin Racing. There are no cons that I could find for this chair, yes I mentioned I didn’t like the pillows, but that’s just a personal preference and not a con and besides they can be easily removed if you don’t like them. To end this review I’ve got something special for you, it’s a 15% discount code off of the purchase of a chair from EWin Racing, the code is Technogog. 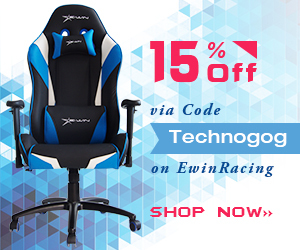 Just buy a chair and enter the code to get the discount, simple.